Truth by Kbaig: Determination of Army Chief for Completion of CPEC!!! The conspiracies of India in Balochistan and interference started with the division of sub continent supported by KGB, secret agency of Soviet Union. Libraries are filled with the books written on this topic. Similar tactics and propaganda was used as a weapon to fuel hatred among simple Baloch people against Pakistan, which were used after 1962 in Eastern Pakistan. Just like Bengalis’, enemy attempted to produce hatred and feeling of deprivation among Baloch people by utilizing the terms like Punjab, Punjabi Establishment, Punjabi army, Punjabi Bureaucracy and Punjabi politicians etc. so that Baloch can be brain washed to demand separation from Pakistan. Irony of the fate is that just like Eastern Pakistan, enemy succeeded in targeting and cultivating such tribal chiefs and feudal lords who had not only control over the resources of Baloch public but their thinking and ideology as well. They were not ready to provide the necessities of life to the public leaving aside the access to education and health facilities. They felt proud in becoming the facilitator of India in disintegration of Pakistan in the name of rights of Baloch people. If one wants to analyze the Indian conspiracies and interference in Balochistan province of Pakistan, it can be divided into three parts. The first part is from 1947 to 2002, in which different so-called movements in the name of rights of Baloch and Greater Balochistan continued. Sometimes, their activities decreased and sometimes they used to get the world’s attention by the terrorist activities. 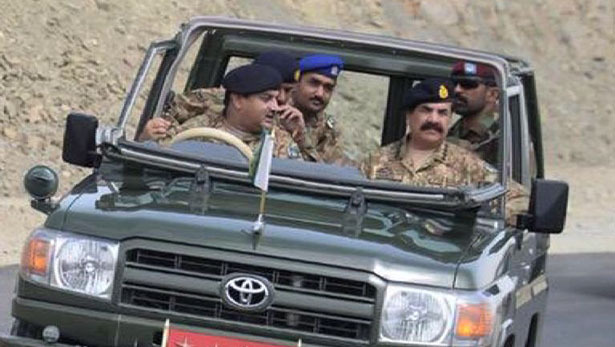 Increase in such terrorist activities made military operations inevitable. 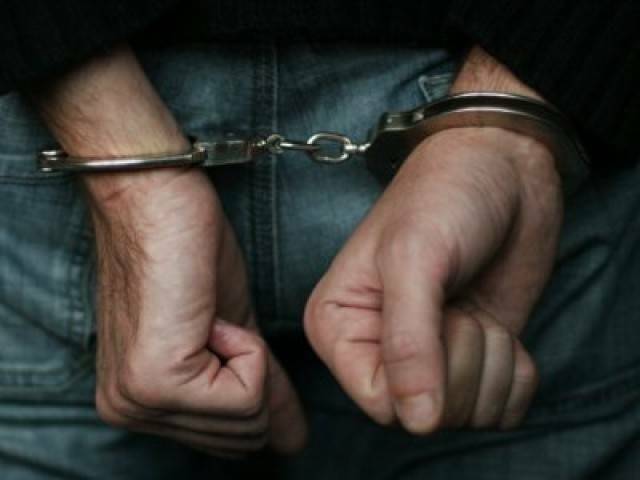 After military operations, the law and order situation improved. In order to ensure peace few Baloch Chiefs joined hands with the govt. and took different facilities while others took the funds in the name of development of Balochistan but never used these funds for betterment of Baloch public; they used these funds to fill their coffers. Politicians in power also got satisfied with the support of such Baloch chiefs; as they were never concerned about the problems of common person who does not have roads and transport facilities, no hospitals and health facilities, he was being kept away from education forcibly so that he remains loyal and slave to the chief. So that they think in the way, the chief wants. After 2002, the terrorism in the garb of separation movement of Balochistan started when General Pervaiz Musharraf signed the plan of construction of a unique seaport of Gwadar with China. The most important point of the plan and deal was that China herself has offered financial support for the completion of this seaport. The loan was given on very easy terms; moreover China offered to construct Coastal Highway and Indus Highway as a gift to Pakistan which was fulfilled accordingly. After 2002, few Baloch chiefs working as facilitators to Indian RAW termed this deal as an attempt to deprive Baloch from their rights. The propaganda against the Gwadar port started. On the one hand it was portrayed that Baloch would get the status of RED INDIANS due to the construction of Gwadar port while on the other hand Baloch insurgents started attacking Chinese Engineers, military installation, gas transmission lines, passenger trains and buses. In these terrorist attacks many innocent Pakistani Baloch lost their lives. In spite of condemning this terrorism, international media termed this as a reaction of deprived Balochs and terrorists were portrayed as heroes. If one may remember there came a time when private TV Channels invited militants and gave them hours of airtime to represent their stance despite of being aware that India is hosting these traitors on self-exile in Europe. India provided weapons and training to the terrorists along with financial support. In the meanwhile, through pro-Indian members of US Congress, India succeeded in representing many resolutions against Pakistan in the US Congress and utilized these against Pakistan. This is a separate and long story beyond the scope of this writing that how India secured and is securing support from USA to hide her terrorist activities in the South East Asia especially Pakistan. The only reality is that Pakistan made India to lick the dust in her conspiracies regarding Balochistan. 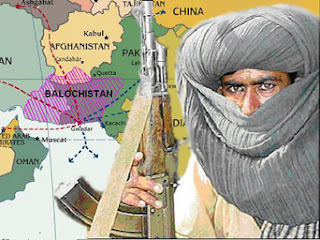 The recent militancy started in Balochistan after China announced to construct a trade route from Xinjiang Province of China to Gwadar. The point of importance is that this unrest was not started by the elements within Balochistan but through foreign elements, which exposed Indian role. Indian Prime Minister Modi, leaving aside all the diplomatic values protested to China against the CPEC plan. When China rejected Indian protest, Modi threatened China that India will never allow CPEC to be functional. 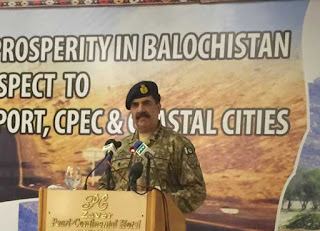 On this Army Chief of Pakistan General Raheel Shareef made it clear to India that CPEC will be completed at all costs. Raheel Shareef without any sugarcoating made it clear to the Pakistani public and world that India is not only the enemy of CPEC but also enemy of Pakistan busy in weakening and disintegrating Pakistan. General Raheel Shareef on 12 April 2016, announced at Gwadar that transportation from China via Gwadar would start this year; in this regard no one including India would be allowed to create any hurdle.